Green teas have distinctive characteristics such as that the leaves are darker whether dry or infused, and they have a rich flavour. However, as market demand has shifted towards green tea, Ceylon green tea producers have started to cultivate significantly more of the original Chinese seed base. This produces the light and sparkling bright yellow colour and more delicate, sweet flavour generally associated with green teas on the international market. A meta-analysis of observational studies found that men who drank the most green tea had a 22% lower risk of developing breast cancer, the most common cancer in women. One study found that men drinking green tea had a 48% lower risk of developing prostate cancer, which is the most common cancer in men. A study of 69,710 Chinese women found that green tea drinkers had a 57% lower risk of colorectal cancer Green Tea May Protect Your Brain in Old Age, Lowering Your Risk of Alzheimer’s and Parkinson’s. Benefits of cinnamon Cinnamon has properties that help those with insulin resistance Cinnamon has shown an amazing ability to stop medication-resistant yeast infections Cinnamon apparently has the effect of thinning your blood thereby increasing blood circulation. Increased blood flow generally boosts your metabolism which is why it may be helpful in weight loss. Taken twice daily (morning and evening after meal). 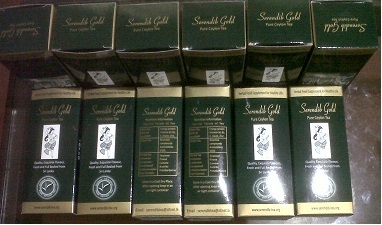 Serendib Diabi Tea nourishes your insides with our herbal and natural products to detox and rejuvenate you! 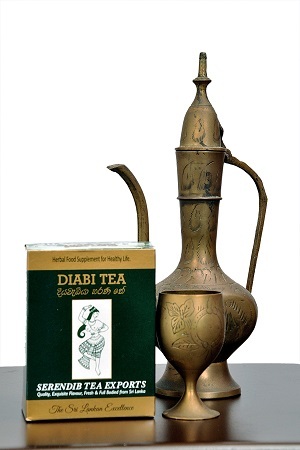 15 Day Serendib Diabi Tea Pouch – Add 15 Day pack with Gumroad (international) we mail your order or Value Payable Post parcel (VPP) to collect it from your nearest post office anywhere in Sri Lanka. Please SMS your name, address and product to 0718077147 for local orders Serendib Diabi Tea needs to be taken with regular exercise to assist in reduction of sugar (continuous sugar monitoring is needed). 15 Day Serendib Slim Tea Pouch – Add 15 Day pack with Gumroad (international) we mail your order or Value Payable Post parcel (VPP) to collect it from your nearest post office anywhere in the country. 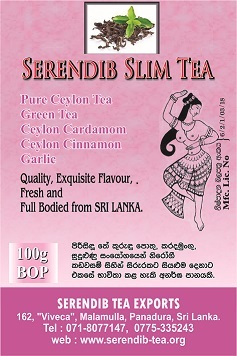 Please SMS your name, address and product to 0718077147 for local orders Serendib Slim Tea needs to be taken with healthy food and regular exercise to assist in weight loss. 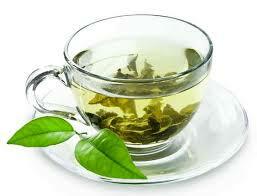 Serendib Tea nourishes your insides with our herbal and natural products to detox and rejuvenate you. 15 Day Serendib Chai Tea Pouch – Add 15 Day pack with Gumroad (international) we mail your order or Value Payable Post parcel (VPP) to collect it from your nearest post office anywhere in the world. 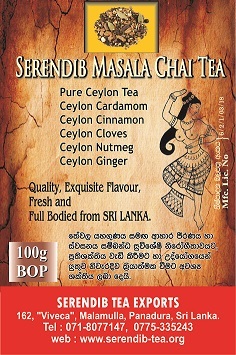 Please SMS your name, address and product to ++94718077147 for local orders Serendib Chai Tea needs to be taken with daily foods and medication. Taken twice daily (morning and evening after meal). 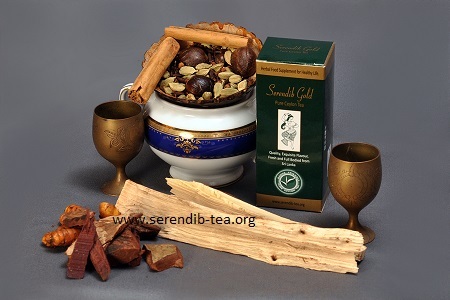 Serendib Chai nourishes your insides with our herbal and natural products to detox you Serendib Slim Tea is made from: Ceylon cloves, Ceylon nutmeg and Ceylon ginger. Since chai tea has so many natural ingredients, there are other added health benefits besides those from the black tea base that is rich in powerful antioxidents. Ginger is believed to aid in repairing the digestive and respiratory systems as well as strengthening the immune system. 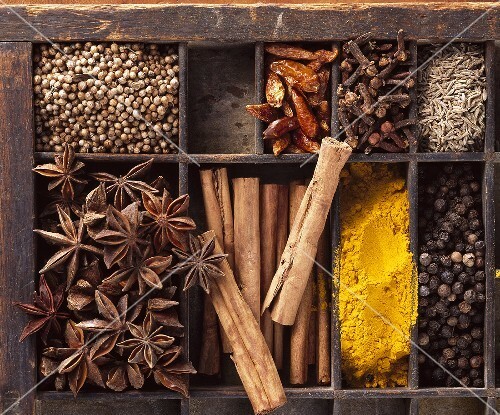 Cloves aid the body in generating heat and can be valuable during the cold and flu season. Cinnamon acts as a catalyst for all the other ingredients.Cardamom is thought to stimulate the mind and improve memory and clarity. Chai tea is a healthy substitute for coffee. It has less caffeine and is not as acidic as coffee. In fact, habitual coffee consumption is believed to hinder digestion, agitate ulcers and cause sleep problems. The ingredients in chai, especially ginger, have the opposite effect on the human body.